Does your not-for-profit board take time to reflect on what it does and how it does it? While this is an essential activity, it rarely happens, so embroiled are boards in the transactional imperatives. A board that doesn’t take time to look at its decision-making process, consider its composition, or simply brainstorm how it could do things better, risks becoming irrelevant, ineffective, or, at worst , dysfunctional. And while it does mean confronting the human dimension of not-for-profit governance, this need not be overwhelming or complex. There are simple processes and conversations which can ensure a common understanding about a board’s modus operandi. 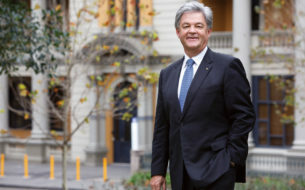 The board of Greening Australia, a national not-for-profit working to protect and restore the Australian landscape, spearheaded an organisation restructure. Strong leadership was required. The chair developed a draft protocol to address behaviours that could potentially derail the restructure. One aspect was members’ tendency to act in the interests of the state or territory they represented rather than the organisation as a whole. The protocol, therefore, explicitly states that directors are to act in the best interests of Greening Australia as a whole; that is the hat that they wear when they attend a board meeting. Another area where reflection can avoid much frustration is over the board’s role in developing strategy. There is no right or wrong position—it will depend on the board and management’s capabilities and preferences, and the circumstances; and this varies from organisation to organisation. What does matter is getting clarity. Through its dynamic educational program, Australian Indigenous Mentoring Experience (AIME) dramatically improves the chances of Indigenous students finishing high school. Working on AIME’s expansion strategy, the board realised that it needed to clarify who was responsible for the various components of its strategy: the mentoring methodology, the organisation’s growth, and its beyond-founder sustainability. In focusing on this question, the board was able to see that its role was different for each of these components, and that it needed to agree on what that role was—for each. A lot of this is perhaps obvious. However, it does take leadership to create the space for reflection to happen. As in our own lives, this can be hard. It takes will and presence to step back from the day-to-day necessities and look at how things are done. Invariably though, when you do, you reap the rewards of greater clarity and insight, and frequently discover innovative approaches.